The daily maintenance of fiber laser marking machine not only affects the working efficiency of fiber laser marking machine, but also affects the service life of fiber laser marking machine. 1. Laser marking machine light pen in operation, do not touch the beam. 2. Fiber laser source is the core of a laser marking machine, we must move carefully to avoid improper mobile crusher. 3. In operation, once found fault, to be stopped immediately in order to avoid casualties. 4. laser marking machine can not be started at the wrong time of the water cycle. 5. When ready to turn off the marking, shall set about current 5A. 6. work among the working area should be higher than the operating format. 7. Keeping the exterior surfaces clean and tidy. 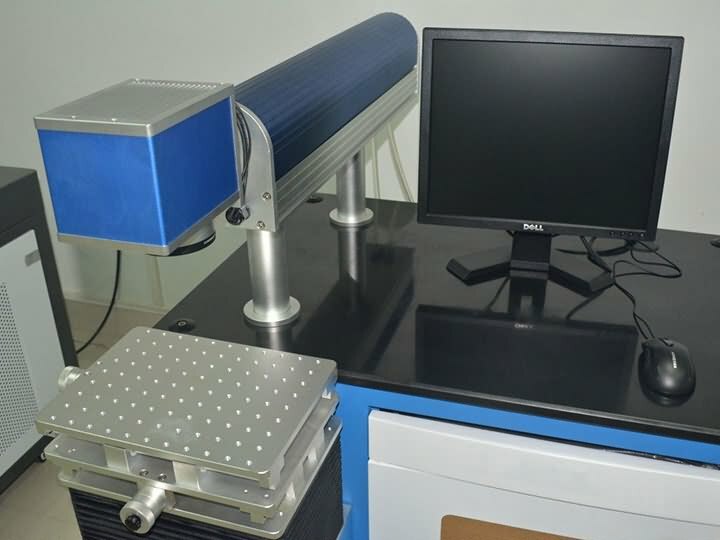 8. to maintain the internal fiber laser marking machine circulating water clean, clean the water tank regularly and exchange of clean deionized water. 1. prohibit the customer when power supply voltage instability, or you must use the regulator. 2. If the machine fails sure to start the emergency stop switch, if fire off immediately. 3. the indoor environment will affect the life of the machine, especially wet and dusty environments. 4. machines the environment pollution, no strong electric, magnetic and other interference and influence. 5. No laser power over a long run. 6. Do not ground the machine start work, my company all the raw laser marking machine, whether housing or enclosure, or cabinet, has artificially grounded machine at the customer, all parts of our machine ground We must be completely reliable, to prevent static electricity wounding, if the customer does not ground, be sure to re-pull a ground wire. 7. without factory training personnel or technology does not take over the old people, prohibiting the use of laser machine. 8. non-professionals or manufacturers unauthorized personnel is strictly prohibited disassemble the machine in order to avoid accidents. 9. in the device is prohibited to place any irrelevant highly reflective objects, the reflected laser-directional, but not prone to foreseeable losses in case a laser direct reflection on the human body or flammable, dangerous. 10. To remove the machine surrounding the timing of the waste, to prevent excessive waste clogged exhaust port; and should be careful to avoid scratching the lens. Rusty sheet, but also likely to cause a short circuit or a laser discharge ignition. License: The text of "Daily maintenance of fiber laser marking machine" by STYLECNC is licensed under a Creative Commons Attribution 4.0 International License. Why buy fiber laser marking machine for metal?